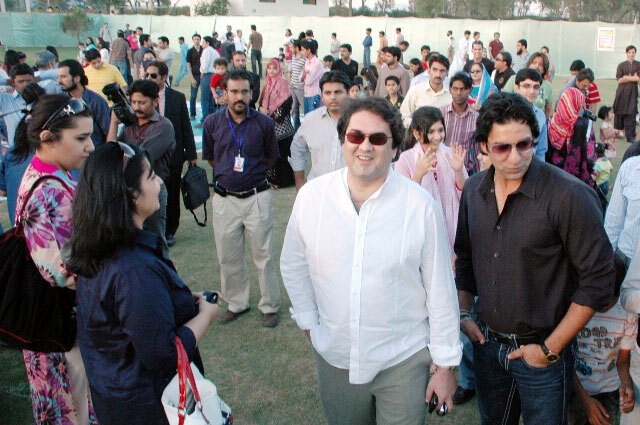 Mobilink, a part of Orascom Telecom Holding organized the Mobilink Foundation Fundraising Carnival. The Corporate Social Responsibility (CSR) team created a festive environment for Mobilink employees and their families, at The Gun Club in Islamabad. All proceeds from the event will be used for CSR activities and social initiatives of the Mobilink Foundation. Mobilink Brand-Ambassador and legendary cricketer Wasim Akram was also present at the carnival, where the participants were delighted at the opportunity to get autographs from him and have their family’s picture taken with the icon. There were several entertaining activities for everyone, including; games, food stalls, autographed giveaways by celebrities and a kids-corner. A grand lucky-draw was also held to present valuable prizes including Blackberry “Storm” devices, hi-tech cell phones and much more. Mobilink Foundation’s CSR engagements go beyond philanthropy and donations by promoting employee volunteerism. The team of nationwide Torchbearers contributes by payroll and over 250 volunteer hours for community service every month. Since January 2010, Mobilink volunteers have positively affected over 3600 individuals.